Colorado used to be a fairly pro-gun state, but all that changed shortly after a shooting in an Aurora, CO movie theater. While the killer was caught and isn’t a risk to the public anymore, that didn’t mean anti-gun forces didn’t seize on the opportunity. Since then, the state has seen a progression of anti-gun incrementalism. Unfortunately, the stupid doesn’t just stop with the state legislature. It seems the People’s Republic of Boulder wants to get in on the action and is now giving people who own so-called assault rifles just days to “certify” their weapons or face repercussions. It seems no official records are being kept and police only have a handwritten count of how many of these “certifications” are being done. They also don’t have a clue about compliance levels either. 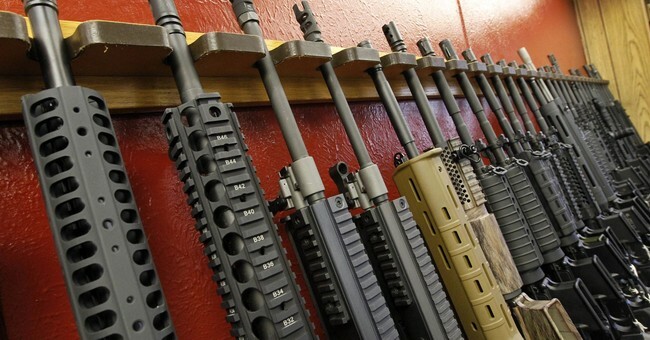 It’s difficult to estimate compliance levels, and police and city officials have admitted that they can’t do much about gun owners who refuse to certify their rifles. Councilman Brockett thinks he wants to see these guns gone, but he doesn’t understand what that world would look like. He doesn’t get that with every gun unavailable to the law-abiding citizen, there’s another gun the criminals can use without worrying about whether their victims have a way to respond. That way lies chaos. It leads to horrific crimes that no one can stop, crimes like the gang violence plaguing Mexico where the average citizen is essentially disarmed. You’re deluded if you think the disarmed populace doesn’t play into the cartels’ plans. I’m not saying it would happen overnight, but it would embolden criminals. As it stands, Boulder will still have people with these rifles. It’ll have them, and that will keep the worst of this kind of thing away. It’ll let the gun grabbers live in the delusion that they’re somehow safer, at least for a little while. But it doesn’t change the fact that this is wrong, stupid, and immoral.